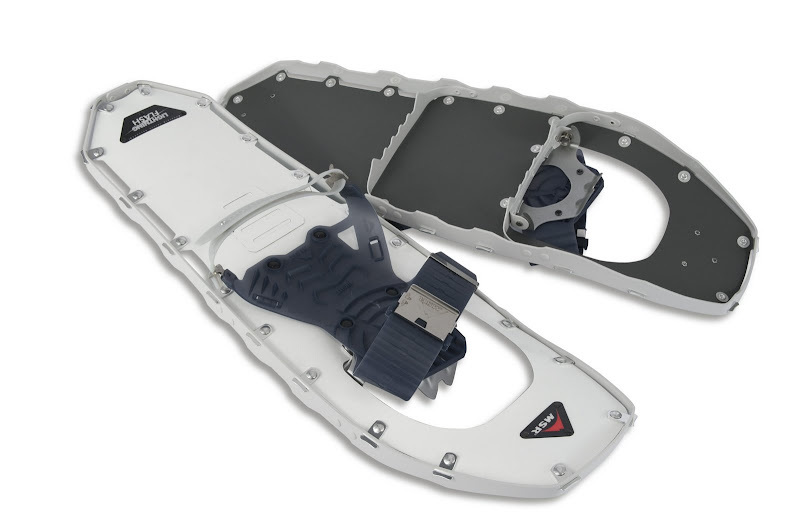 Its winter, the Outdoor Retailer show in the USA is in full swing and I have more news on the new snowshoes from MSR. Sit back and relax while savouring these exclusive news. - "Explorer Series" which is for all-terrain traction and versatility with a focus on all day comfort and ease-of-use. 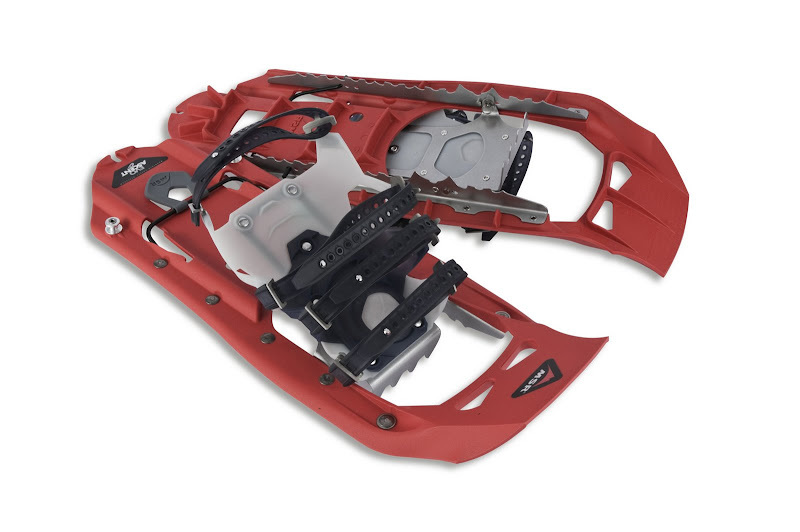 - "Ascent Series" which features the most aggressive snowshoes for travelling from point A to B, regardless of what lies in-between. - "Trek Series" which has all condition traction and reliability, being engineered for optimal efficiency on rolling terrain. They all come with a variety of new features which you can read about if you look here. I got an update on the modular floatation tails, and the good news is that they are now an option for all Lightning models. The bad news is, that they won't fit on Lightning models released before 2010. So I and a few others who hoped we could equip our existing snowshoes with these additions do not rejoice. Honestly talking, I do not understand that move from MSR. If you made them compatible with old models people would just but the tails, but so you force them to also buy new snowshoes. Anyhow. MSR Lightning Axis, from top to bottom: Male model, Flotation Tails. Men's sizes are 56, 64, and 76 cm and weights are estimated at 1768 g - 2052 g. Colour is Tomato Red. Ketchup, thus. Women's sizes are 56 and 64 cm and weights are 1598 g and 1712 g. Purple as a colour for the ladies is nice. The Floatation tails are 12 cm long, giving men the ability to have a 88 cm long snowshoe and women 76 cm long. Woohoo, no more sinking into powder with those on. The pair of tails puts 257 g on the scale, at least that is the estimated production weight. In shops July 2010, in time for the southern Hemisphere's winter. 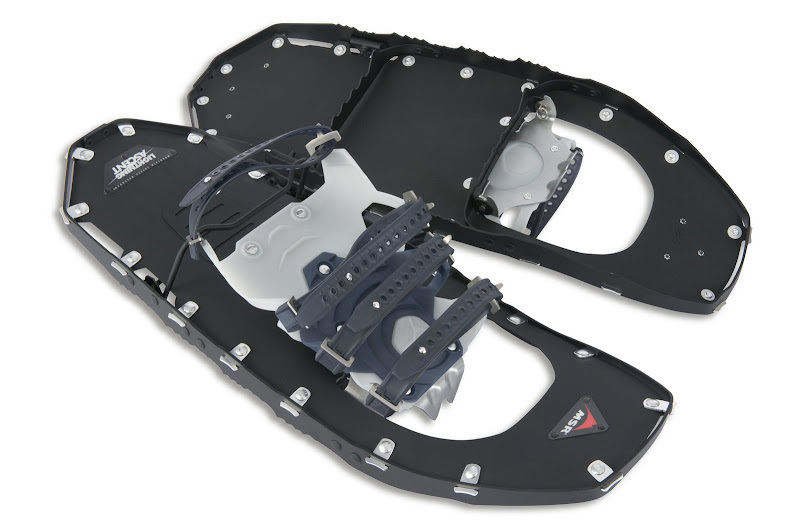 The next new snowshoes is the Evo Tour. 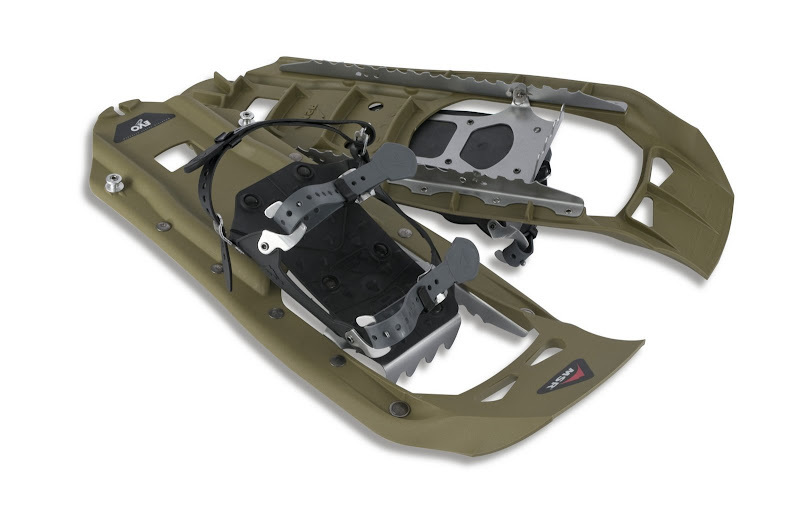 It promises outstanding traction on all types of terrain, and the one-piece composite construction of the unibody deck has steel traction bars to bite into snow and ice. The Evo Tour also has tails to be more flexible, and comes with the Speedlock binding. They give you an optional strap if you're climbing in the Himalayas, so that you can have absolute control in very challenging terrain. I reckon that strap will not be need in Finland with our few hills. 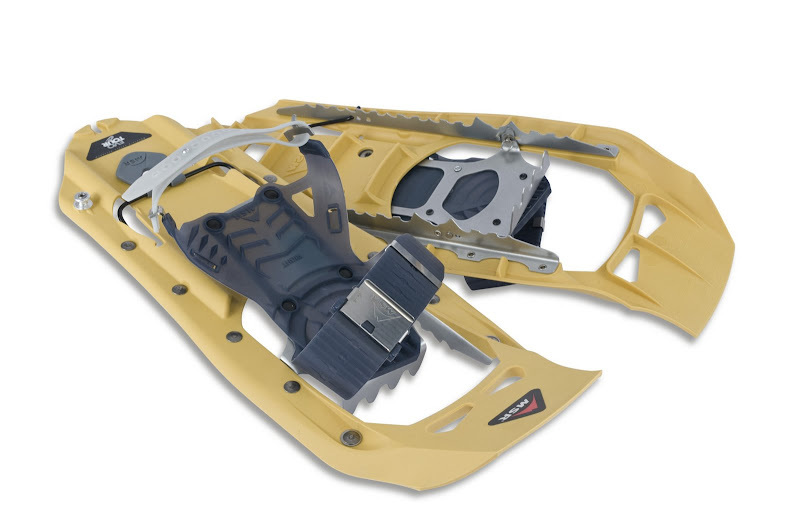 The Evo Tour are unisex snowshoes, but they give you the choice of mustard or steel grey as a colour. Why they fared away from ketchup and purple I don't get, that were existing colours and now its back to basics. The estimated weight is 1751 g for the pair, and those 15 cm long tails will add 346 g to the total. Out in July. Both Evo Tour & Axis will be in the Explorer Series at home. The real beauty in these are the weight. Men can choose from a 56 cm or 64 cm long version, which weigh 1417 g or 1502 g. That's over 300 g lighter than the Lightning Ascents, but you luck out on the heel lifter. Women's model is even lighter, at 1374 g for the 56 cm long version, and 1403 g for the 64 cm long model. The colours are dirt white for men and ice white for woman. Judging from the photos they look the same, white. Good for magic tricks, you will look like your floating on top of the snow. Floatation tails are the same length and weight, 12 cm and 257 g for the pair. There's a few more models - Lightning Ascent, Evo Ascent, and Evo - which were redesigned, but nothing major. All in all interesting news, me thinks. None of the snowshoes are as light as Phil's Yowies, but they do promise to have slightly more grip. I like the addition of floatation tails, but don't understand why they weren't made to fit also with old models (well, I do understand it - they want to make more money - but I find it plain stupid, to be perfectly frank). Why the Lightning Ascent was allowed to keep those four binding belts I don't get, differentiation, I guess, but as a matter-of-fact I would do away with them. 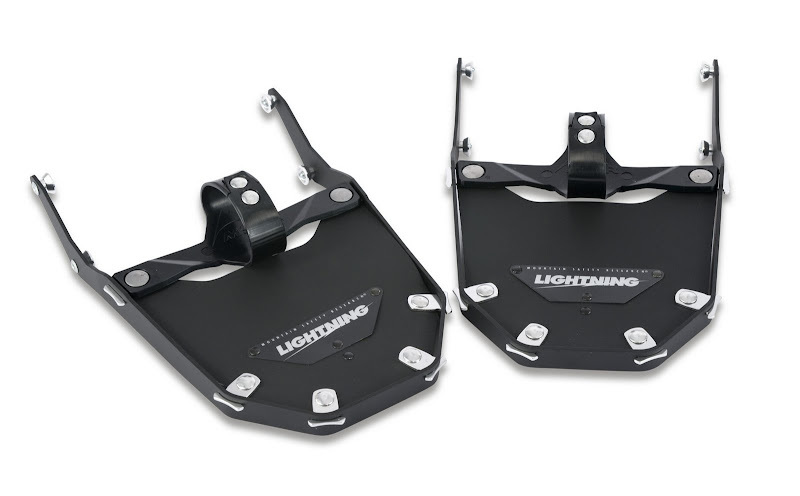 The Lightning Flash look like the way to go for the UL backpacker, a shame that they weren't given the heel lifter, that's a useful extra if walking long uphill. 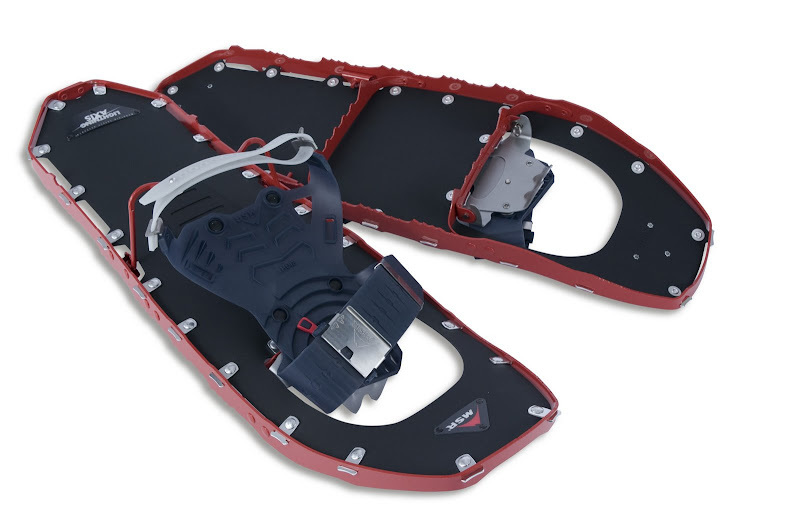 Update: Added the photos of the other, redesigned snowshoes. MSR Lightning Ascent. Absolut Ninja in all black. They will be available in autumn 2010, and a good source in Europe is Bergzeit in Germany who have topnotch service and are super fast in delivering your gear to you!